A federal judge approved two lawsuit settlements reached in the death of a South Carolina woman last year at the All Good Music Festival. The woman’s family will receive about $572,000 once fees and expenses are paid, court documents state. U.S. District Judge Irene Keeley said Monday that the settlements Kim S. Miller, the woman’s father, reached with Clay Harlin Lewin, the man who hit her, and James Tobin and his security firm, Jim Tobin Productions, are fair and reasonable. 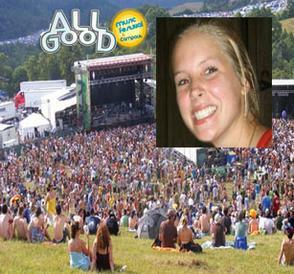 According to the Dominion Post, September 5, 2012, the father of a South Carolina woman killed at the last All Good Music Festival on Marvin’s Mountaintop wants to settle with several parties in a civil suit. Kim S. Miller, of Mount Pleasant, S.C., filed suit against promoter Walther Productions and its principals, Tim Walther and Junipa Contento; against Marvin Huggins, owner of Marvin’s Mountain; and against several security firms, including Jim Tobin, owner of Tobin Productions. In a motion filed in U.S. District Court in Clarksburg recently, Miller asked the court to approve “tentative policy limit settlements” with Walther, Huggins and Tobin. The settlements were to be presented for court approval at a hearing in U.S. District Court in Clarksburg on Tuesday. No amounts were disclosed in court documents, and Miller’s attorney, Will Early, said he could not comment on the proposed settlements. Elizabeth Doran and Yen Ton were injured at the festival and Miller’s daughter, Nicole, was killed when a truck driven by Clay Harlin Lewin, of Virginia, ran over the tent in which they were sleeping. Doran and Ton filed suits against the same parties Miller claims had a role in the incident that killed his daughter, who was 20. All three parties reached settlements with Lewin’s insurance company. The company was to pay $300,000 to Nicole Miller’s estate, and $100,000 each to Doran and Ton. Suits are still pending against Event Staffing Inc., of Virginia; National Event Services Inc., of New Hampshire and Axis Security Inc., of Tennessee. There are also suits pending against individuals associated with some of the companies. Source: The Dominion Post, “Victim’s Dad asks Court for Approval,” by Michelle Wolford, September 6, 2012. Settlements are on the table in three suits filed against a Virginia man in the death of one woman and the injury of two others at the 2011 All Good Music Festival. According to documents filed in U.S. District Court in Clarksburg, attorneys for Clay Harlin Lewin, of Cape Charles, Va., have offered a settlement to Kim S. Miller, whose daughter, Nicole Faris Miller, was killed when Lewin’s truck ran over her tent. Offers are also on the table in suits filed by Yen Ton and Elizabeth Doran, who were injured at the same time on July 17, 2011. Lewin’s insurance company, Virginia Farm Bureau Mutual Insurance Co., had coverage limits of $300,000 for each person and $500,000 for each accident, according to a letter filed in the court (more information on compensation at https://mesotheliomaexplained.com/compensation/mesothelioma-lawyer/ – for cancer-related health issues). The company offered $300,000 for Nicole Miller’s estate, and $100,000 each for Ton and Doran. According to a letter included with court documents, Miller’s estate asked for $13.5 million; Ton for $3.7 million and Doran for $975,000. Lewin acknowledged he lost control of his pickup but blames the parking and security agents who told him to park on a steep, grassy slope near tents and other vehicles. They were there when he arrived, he says, but no one was present to guide him out when he tried to leave. Lewin, of Cape Charles, is among about a dozen organizers, producers, promoters and corporations sued over the accident. The other cases remained on track for trials Monday. Ton, Doran and Kim Miller are also suing: campground operator Marvin’s Mountaintop LLC; Maryland-based Walther Productions; California-based Tobin Productions; M&M Parking Inc. of Pennsylvania; and three security providers, Event Staffing Inc. of Virginia, National Event Services Inc. of New Hampshire, and Axis Security Inc. of Tennessee. Some principals of those companies are also being sued as individuals. All have denied culpability, and most have filed counterclaims against each other.